What’s Your HR Leadership ‘Persona’? 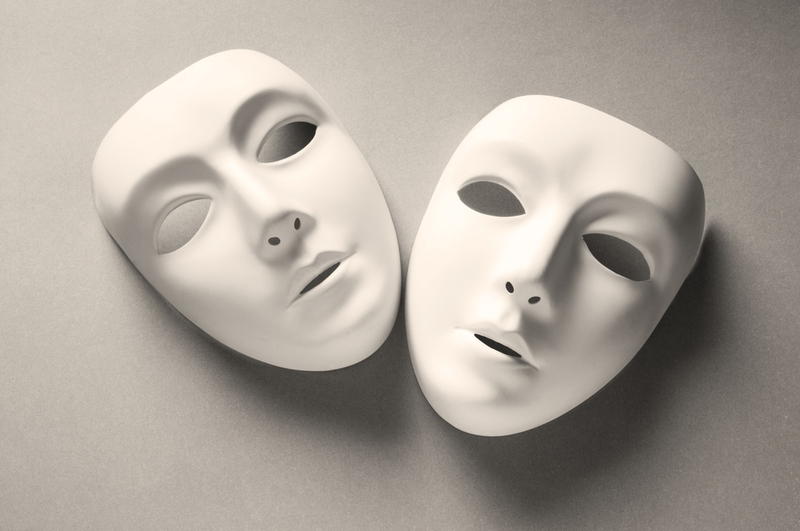 A word that you don’t see much in common use these days, persona evolved from an ancient Greek term to describe the masks actors used in plays. Short of talent, an actor would put on a new mask or persona and play a different character than one they might have done previously in the play. We were first introduced to this word by a consultant who coached some of us into becoming better presenters, drawing on an incredibly deep well of his experience from vaudeville theatre to coaching USA Presidential nominees for TV debates. The idea was that if you started practicing (or acting) with a different persona, you’d eventually become that person – you’d habituate these new behaviours into a new character, and that persona would become yours, and eventually you. It was a simple and effective way of working through a complex behavioural change. We’ve drawn on this concept of the Persona in a number of our leadership programs, and we know it’s helped a range of leaders start to shift their effectiveness and impact with people. So, when we developed and launched our HR Mastery Program this year, we added a component on the Persona to help HR Leaders frame their thinking to be a leader first, and a functional expert second. Called ‘Designing Your Leadership Persona’ it’s a process that applies to leaders in all functions and at all levels of an organisation and we use it in a number of the programs run by The Talent Workshop. It starts by understanding that throughout your life, based on the way you view yourself and the world around you, you’ve formed an individual style and approach. This is how you display your often unconscious intentions to yourself and others, and how you express your role as a leader. Some of us have done this with more deliberation; others have just let it evolve. Once you affirm the elements you’ve chosen are valid, you should seek to practice and employ them over time – that is, start to ‘wear’ your new Persona. The more often you wear the new Persona, the elements become recorded indelibly in your subconscious mind and displayed habitually and more often than not, automatically. Your Persona becomes the new normal, the new you. Here’s how we explain the respective components . . . . if you have a notebook handy and want to work along with us put a heading at the top of the page: My Leadership Persona and be ready to step up to some challenging questions . . . . Leaders take personal accountability for specific things. With a clear sense of purpose and accountability they make it clear what they are here to do. The first step in designing your Leadership Persona is to ask yourself what kind of leader you are and, what leadership means for you. Your answers will be shaped by considering these questions: What kind of leadership does the culture of my organisation demand? And, what kind of leadership does my team require of me? And, if you’re willing to define your role as having accountability for things and people that you don’t control . . . magic will happen. For the notebook: For each team you are a leader of or a member of finish this sentence: My role on this team is to . . . .
We find that people are motivated to maintain the integrity of the self, and an outwardly stated commitment becomes the moment of truth for a leader. Great leaders take a position, and are willing to articulate it (state it out loud). The language you use is important. Language conveys not only information but also commitment, and people act by stating commitments. Stating your commitment out loud is a bold promise. You need to place yourself in the future. Your stand should represent clear outcome-based goals. For the notebook: What is your core purpose; your statement of commitment? Have you clearly defined the performance ethic of your team and the teams you are on? The success of a business is a direct reflection of the strengths and weaknesses of its leaders. Individuals (and businesses) achieve the success that equates to their level of satisfaction and where you choose to be satisfied will determine the level of your success. For a lot of people, it’s not what they know that leads to their success. It’s more a result of what standard they are prepared to accept. That is why average is the enemy of great. Where you choose to be satisfied will ultimately determine the level of your success. For the notebook: How have you described the difference between “average performance” and “acceptable performance” for your team and your organisation? How long do you settle for average performance? All we have is our time. The way we spend our time is our priorities, is our strategy. Your calendar knows what you really care about. Do you? How much of your time should you spend on real leadership issues? How much of your time do you spend on real leadership issues? You are your calendar . . . and calendars never lie. Leaders direct their energy towards what really matters. Your calendar knows what your focus is. For the notebook: Have a look at your calendar for the month just passed and the month ahead. What are the two processes you are spending most of your time on? What are the two processes you should be spending most of your time on? How will the business measure your contribution? The essence of leadership is to define the outcomes required and align resources to deliver those outcomes. Delivering outcomes is what you’re paid to do; effort is good, trying hard is to be applauded; missing occasionally is part of life. But ultimately, you have to make an impact and get things done, and cause situations to change for the better. Your business will measure your outcomes based on the things they can see or measure. For the notebook: What difference are you making in your organisation? What will people say about your legacy? What commitments to people have you got in play at the moment? Now, if you’ve been making notes as you’ve gone along that’s a great start. You’ve perhaps started to design a new Leadership Persona for yourself. It’s an iterative process and you’ll take time to refine it. But, you can start to put on the mask, start acting differently, start creating your new Persona right now. As you grow into and live your Persona, people will notice, and then over time it won’t feel like a mask anymore; it will be you.